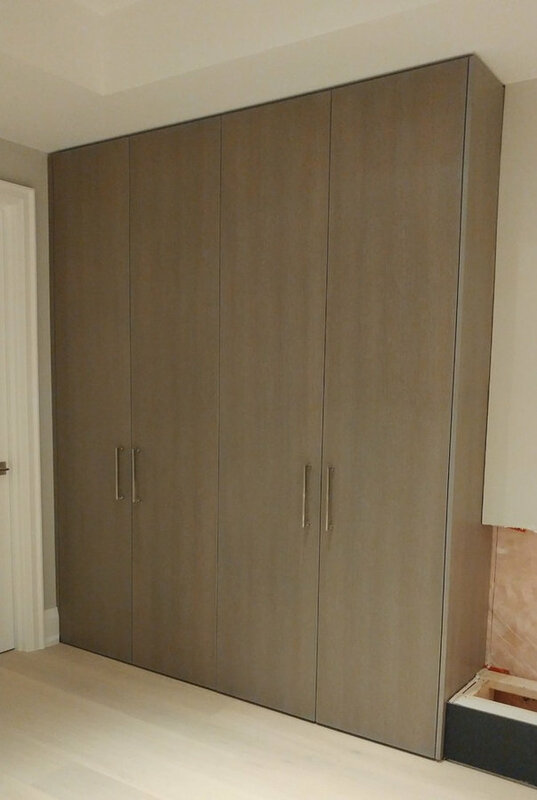 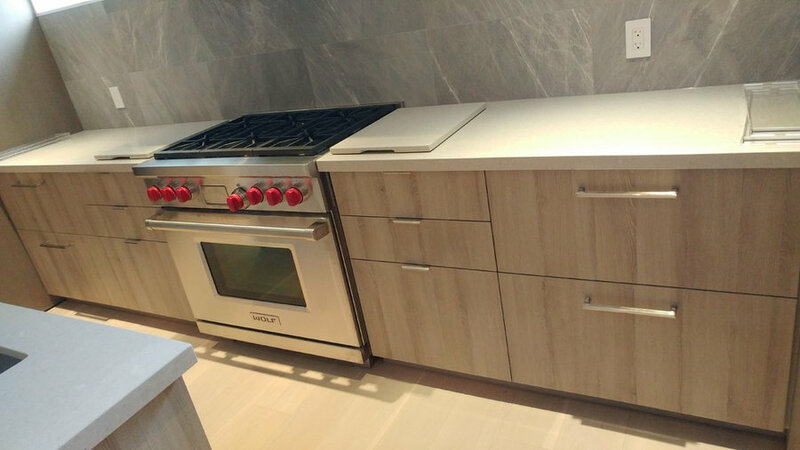 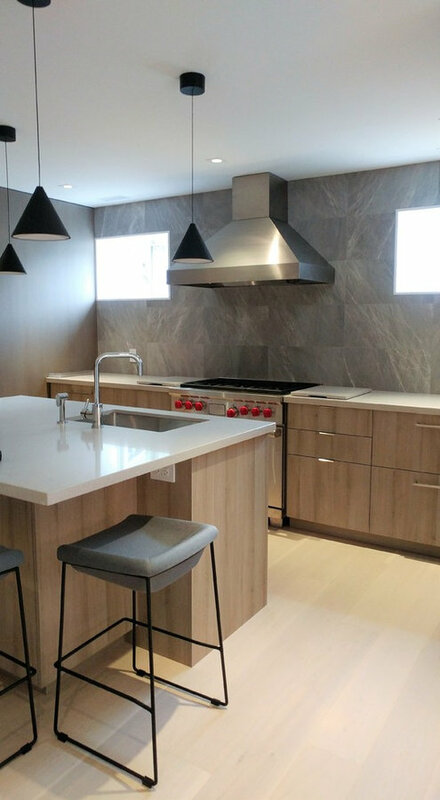 Designed by: Michelle Lise Lamontagne, Build by: Millard Bautista Designs Custom made Kitchen- 4 incorporated fridge drawers, rift sawn accent walls with a custom finish, all soft close hardware, built-in garbage with soft closing hardware and incorporated dishwasher. 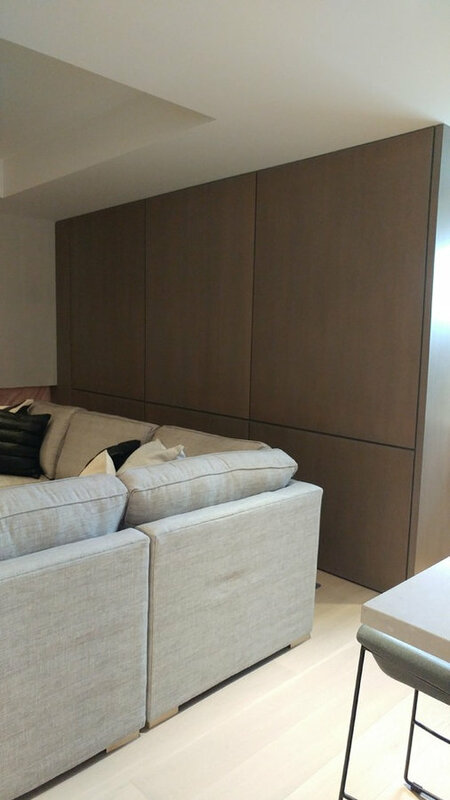 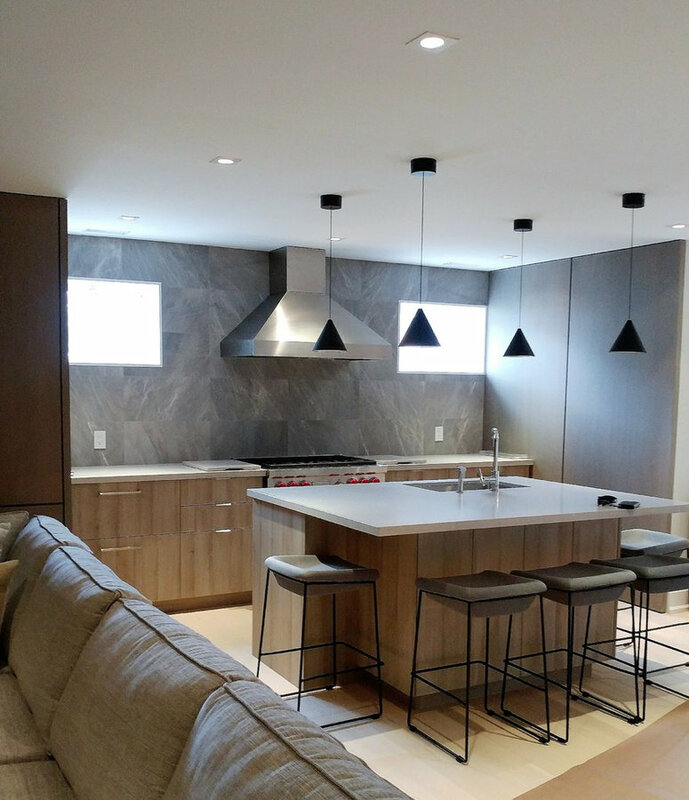 Designed by: Michelle Lise Lamontagne, Build by: Millard Bautista Designs Accent wall- Rift Sawn Oak with custom finish and 1/2" reveals all around. 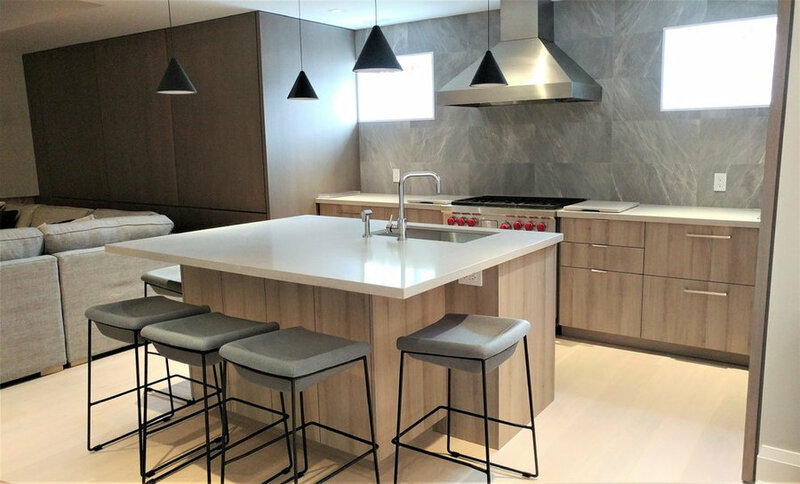 Designed by: Michelle Lise Lamontagne, Build by: Millard Bautista Designs Built-in storage with flat panel rift sawn oak with custom finish. 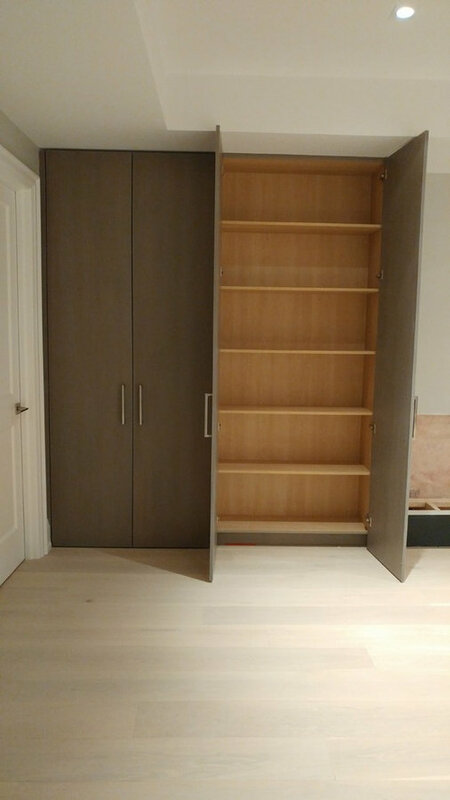 1/2" reveals on ceiling and floor.